At TOPS Hearing Center, we work with only the finest hearing aid manufacturers in the world. We choose which will be the best fit for you based on your hearing loss, budget, and lifestyle needs. Hearing aid options come in a variety of styles and technology performance levels. We offer a variety of different hearing aid styles. They fall into two basic categories: Behind the Ear and Custom. 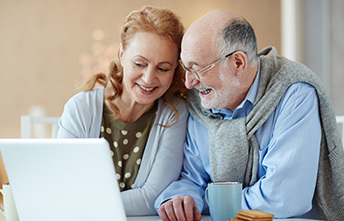 At your Hearing Aid Consultation appointment, the pros and cons of the style options will be discussed so that you can make an educated decision. Behind the ear (BTE): BTE styles are primarily for severe to profound hearing losses, and children. These devices include two parts; a custom earmold with a tube, and the hearing aid device. Receiver in canal (RIC): RIC are the most popular style. 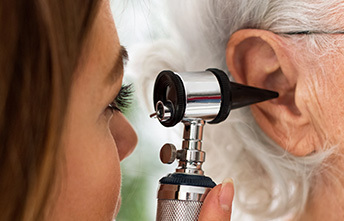 The hearing aid sits behind the ear and is connected to a tiny speaker in the ear canal by a wire. This style is very cosmetically pleasing as the hearing aid itself is very small and hidden by your ear. They are the most durable and versatile design and provide several acoustic advantages. RIC hearing aids are suitable for individuals with mild-to-severe hearing loss. Invisible in canal (IIC): IIC hearing aids fit deep in the canal and are not visible from the outside. The ear canal must be an average to large size in order to accommodate all the components down in the canal. They are removed with a short nylon handle. IIC devices are suitable for individuals with mild-to-moderate hearing loss. Completely in canal (CIC): CIC hearing aids sit completely inside the canal and can barely be seen in the opening of the ear canal. They have a short nylon removal handle and are appropriate for most ear canal sizes. CIC hearing aids are suitable for individuals with mild-to-moderate hearing loss. In the canal (ITC): ITC are slightly more visible than the CIC but provides more control options and multiple microphones for reducing background noise. ITC hearing aids are suitable for individuals with mild-to-severe hearing loss. In the ear (ITE): ITE hearing aids are custom-fitted devices that fill the entire outer portion of the ear. This style is rarely fit due to the size. Hearing loss doesn’t just happen with age; many individuals experience hearing loss due to noise exposure. Being in loud environments can damage the sensitive tiny hair cells within the inner ear responsible for hearing loss. When those are damaged, they can’t be repaired. At TOPS Hearing Center, we work with all type of patients, including musicians, construction workers, and race car fans, wanting to protect their hearing, before it’s too late. From the top manufacturers to products to product your hearing, visit TOPS for all your auditory needs. Having hearing loss shouldn’t preclude you from enjoying some of today’s best technology. 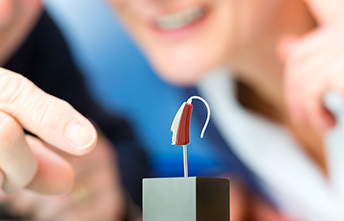 Many of the hearing aid manufacturers we offer provide Bluetooth-enabled hearing aids. These devices enable you to connect your hearing aids to smartphones to hear the telephone directly, hands-free and in stereo! They also stream music, videos, and podcasts and pair with TVs, computers, and remote microphones. Known as the world’s best phone caption device. Using technology similar to captioned television, CaptionCall can quickly provide written captions of a caller’s conversation on a large, easy-to-read screen. CaptionCall works like a regular phone and the service is free. Electronic Shooters Protection devices are a hunters’ and shooters’ dream. ESP products provide highly-advanced hearing protection that saves your ears from the damage of a gunshot while still enabling you to hear the environment around you. Learn more about ESP products here. Oticon is one of the most trusted and well-known names in hearing aids. It’s latest processor is 50X faster and more precise to support the brain in processing sound. Hearing happens in the ears and understanding happens in the brain. The precision of these products eases the efforts needed to follow conversations, even in noise. Oticon has a comprehensive line of products for all ages, budgets and hearing levels. 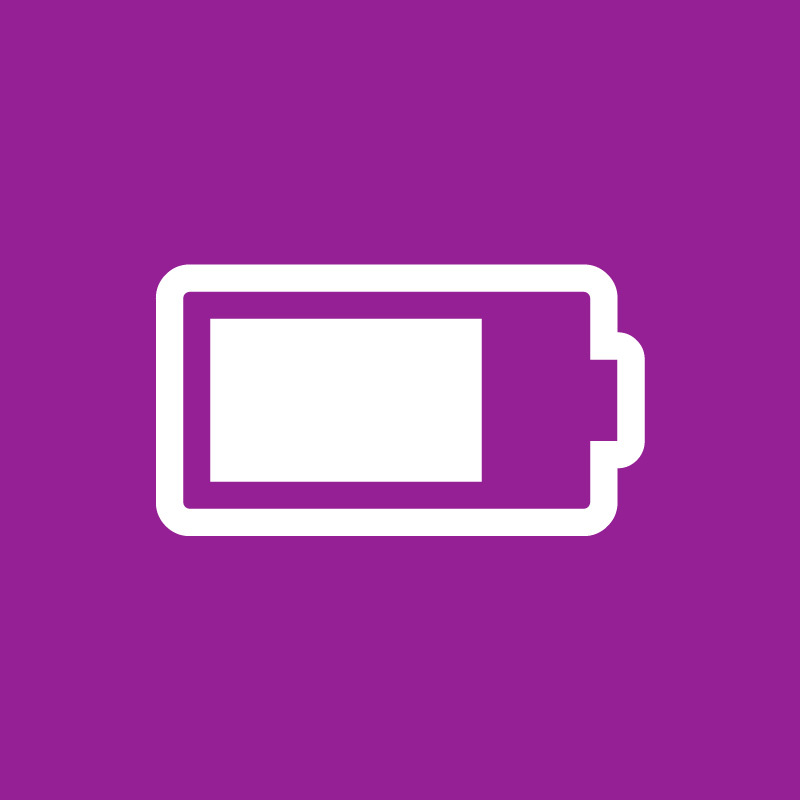 No more battery changes in the middle of a movie or meeting. Rechargeable hearing aids allow you to wear them without changing batteries all day long and charge overnight. No more interruptions. Known for making the world’s smallest hearing aid, Unitron continues to push the edge in sleek design coupled with powerful processing technology. They are a leader in CROS and BICROS technology for patients with unilateral and asymmetrical hearing losses. Unitron Flex Trial: a time-limited hearing aid that takes the expensive risk out of purchasing a hearing aid. With the Flex:trial, our audiologist provides patients with a risk-free trial. The trial hearing aids would mirror the same type and style of hearing aid you would require, giving you a preview of life with hearing aids, without the initial payment. Widex prides itself on great hearing aid design, inside and out. Widex combines technology with functionality, enabling them to offer hearing aid solutions to individuals with all types and degrees of hearing loss.